Melanie was born to an American mother and a German father and grew up in Germany. She left her native country to study and work in the UK. Going with the flow of life, she worked and lived in Thailand, Italy, Switzerland and since 2015, the Netherlands. As enriching and exciting as living abroad may be, moving around has also been uprooting at times, and it was in yoga that she found a place of inner peace, a sense of belonging and a feeling of connection. What Melanie recalls most of her first yoga experience, is the feeling of inner peace in savasana. That was in London in the year 2000. Throughout the following years, she tried different styles of yoga, going through phases when she practiced very regularly, and periods when not so. 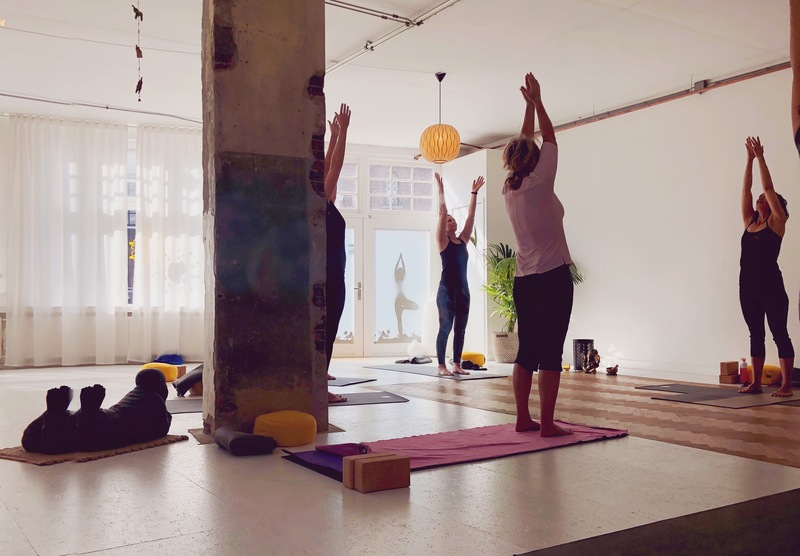 After getting into a regular practice again after moving to the Haarlem area, Melanie wanted to deepen her practice and get more immersed in what she really grew to love, and joined the 200 hour Vinyasa Yoga Teacher Training at Glow Yogastudio Haarlem under the guidance of Claudia van der Tier and Daphne Koken. Since March 2018 Melanie may call herself a certified yoga teacher and is looking forward to find more depth and inspiration in workshops and further trainings. In her classes, she aims to share what she has found in yoga: space, joy and peace. She invites students to practice – with a curious, open and gentle mind – connecting with the breath, exploring the body through breath and movement, and creating space in the body and mind.